For UPSC and PSC exams, aspirants may need to refer diverse books to get a good grasp of different topics. With lot of books available in the market, students are often confused. 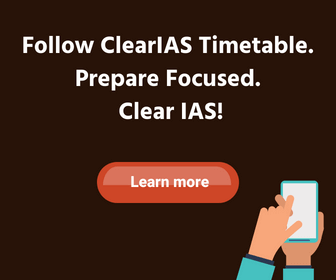 ClearIAS.com has already published the list of recommended books for IAS Prelims and Mains taking feedback from toppers. We also keep updating aspirants when new but relevant books are available in the market. This post is a review of some of the latest books for UPSC Exams from the publisher Cosmos Bookhive Pvt Ltd. This might be online age, but the importance of books (and sales) has only increased. There a lot of books available in the market, but still for certain specific topics or subjects, there is dearth of quality books. It’s a good sign that new authors and publishers are entering the field with books where sufficient material is unavailable. If you are a publisher/author with quality books for UPSC Civil Services Exam, then you can send us sample copies for review to be published in www.clearias.com book review section. You may mail us at contactus[at]clearias.com for more details. Thanks. The Publisher Cosmos Bookhive has come up with many revised books to suit the requirements of the changed syllabus in UPSC Civil Services Mains Exam. Some of the topics covered include World Constitutions, International Relations, International Organisations, Foreign Policy of India etc. The book International Relations is divided into two sections. Section A deals comparative politics and international relations (448 pages). Section B is titled India and the World and deals with the foreign policy aspects of India (244 pages). Though Section A is a little theoretical, it covers many important topics for IAS mains like Party System, Pressure Groups, Globalisation, North South dialogue, Global commons etc. Section B is a highly useful study material for studying India’s foreign policy which covers topics like NAM, Kasmir Question, India-US, India- Russia, India-Africa and so on. Click to buy International Relations by Prakash Chander and Prem Arora online at discounted price. Foreign Policy of India by Prem Arora is a handy book on India’s foreign policy. The first 80 pages of the book traces the latest developments in India’s foreign policy, while the remaining 200 pages explores India’s foreign policy, right from the beginning. While the initial chapters discuss the relavance of SAARC and Nuclear Security Summit, the second part deals with conventional topics like India and its neighbours, India-US relations, India and UNO etc. This brief book is useful as a ready reference of Indian Foreign Policy. Click to buy Foreign Policy of India by Prem Arora online at discounted price. International organisations is topic mentioned for UPSC Civil Services Mains Exam GS Paper 2. This book explores latest developments related to many international organisations like UNO, UNDF, IMF, BRICS, UNFCC, ECOSOC etc in the first 82 pages, but the next 350+ pages are entirely devoted for United Natios Organisations. We won’t advise a research on the 350+ pages on UNO, but for a quick grasp of current issues/events related to international organisations, the initial chapters of the book might help. NB: 2013 mains question was about the difference between IMF and World Bank. Click to buy United Nations (A Study of International Organization) By Prem Arora online at discounted price. The first 52 pages of the book explores the latest developments in International politics while the next 400 pages is a detailed write up on international politics, including the theoretical aspects. Though not a must buy, the book can be used as a reference material for GS1 and GS2 papers of UPSC Civil Services Mains exam. A few aspects of world history like imperialism, world wars, arms race etc are also covered. 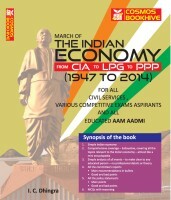 The book might be more useful for aspirants with political science as optional subject in UPSC mains. Click to buy International Politics by Prem Arora online at discounted price. The revised edition partitions the book into two sections. The first 74 pages trace the latest updates or amendments in many world constitutions like US, UK etc. The next 488 pages give a detailed description on the constitutions of 7 countries namely, Britain, USA, Switzerland, China, Japan, USSR and France. World Constitutions is a comprehensive book which discusses various constitutions of the world, giving students an idea of their salient features. Given the time constraints, it is neither easy nor advisable for IAS aspirants to read the entire book end to end, but it is advisable to go through the summaries given in each chapters of the book. (For UPSC Civil Services Mains GS2 paper). Click to buy World Constitution by Prem Arora online at discounted price. Public Administration Part 1 by E. Chandran is written according to UPSC Civil Services Syllabus. The book is for those who take the popular optional subject Public Administration in IAS mains exam. Each chapters of the book is prepared according to the sub-headings in the Pub Ad syllabus. There are 13 chapters divided in 2 sections. A few previous year question papers are also given at the end. Click to buy Public Administration Part 1 by E. Chandran online at discounted price. Public Administration Part 2 by E. Chandran is written according to UPSC Civil Services Syllabus. The book is for those who take the popular optional subject Public Administration in IAS mains exam. Each chapters of the book is prepared according to the sub-headings in the Pub Ad syllabus. There are 14 chapters which cover almost all topics under Section A and B of Pub Ad optional paper. A few previous year question papers are also given at the end. Click to buy Public Administration Part 2 by E. Chandran online at discounted price. March of the Indian Economy ( 1947 to 2014) by Nitin Dhingra, I. C. Dhingra is a book on Indian Economy, written adopting a new style of presentation. The book gives readers a feel of sitting in classroom. Many current events, news paper clippings, policies and programs related to Indian economy are added which gives the book a different feel. This book can aid in UPSC civil services main exam preparation. To help for aspirants for Prelims, multiples choice questions are added, but considering the style of presentation, this book seems more suitable for main (written) examination. This book is up-to date, and even includes many of the latest topics related to Indian economy including CSS and the last budget. The book is an easy read, and that makes it special. Indian Economy being a tough subject for many, this is one book which any one can try to get a quick grasp about the direction of growth of Indian Economy. Click to buy March of the Indian Economy ( 1947 to 2014) by Nitin Dhingra, I. C. Dhingra online at discounted price. 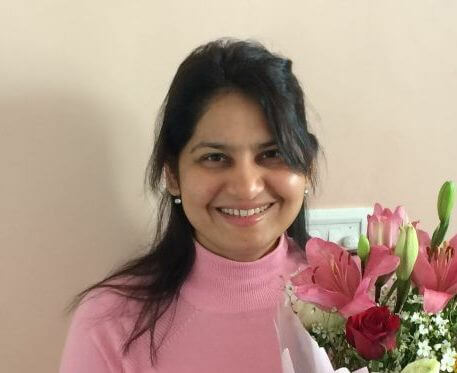 Congratulations first of all to your tireless endeavours in helping the aspirants for IAS. I would be glad if you can kindly suggest some relevant and important books for the IAS Anthropology Optional syllabus. Thanks Saurav, for the positive comments. For Anthropology optionals, the following books are suggested by experienced candidates. An Introduction to social anthropology by Majumdar/madan. Makhan jha’s book on Anthropology theories. Indian anthropology by R.N. Sharma. NCERT Indian Society, Social Change. Indian anthropology by Nadeem Hasnan. Please tell me if cosmos bookhive book is enough for paper 2 part a which consists of comparative politics and international relations?